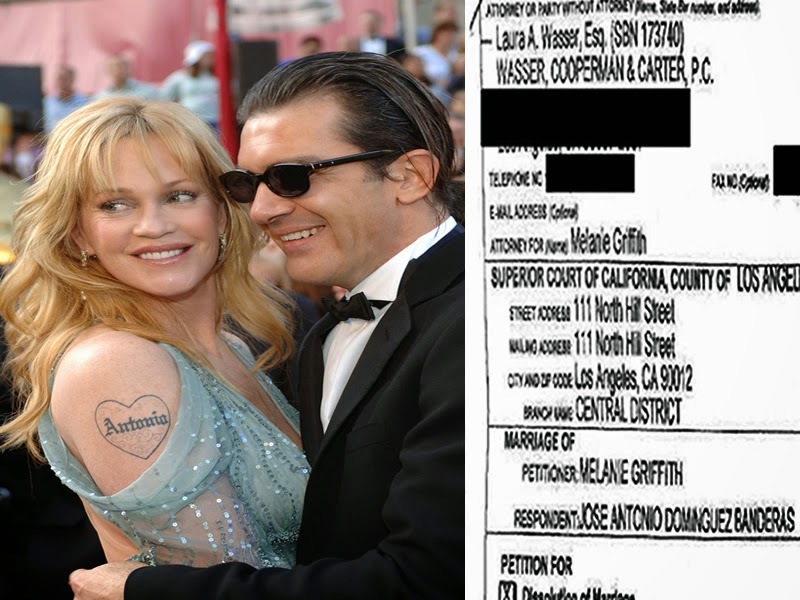 Melanie Griffith has filed for divorce from Antonio Banderas ... TMZ has learned. 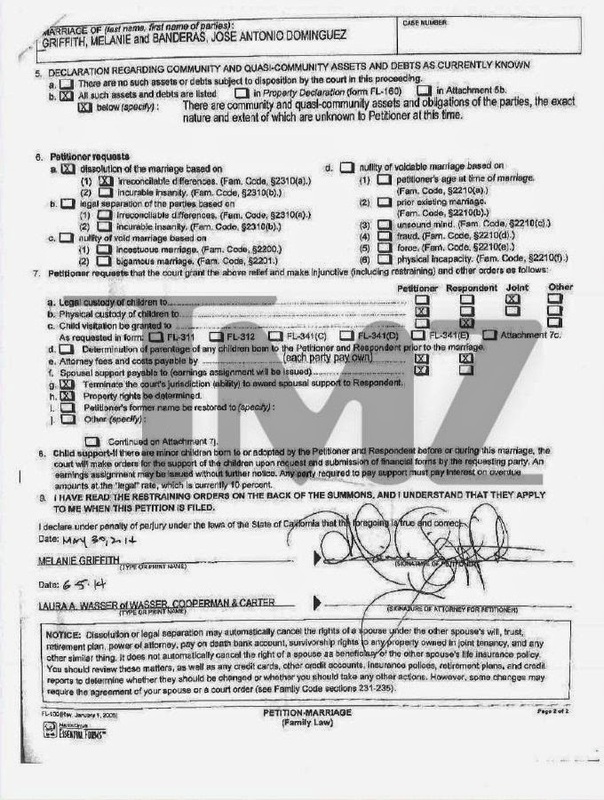 Griffith's legal docs cite irreconcilable differences as the reason for ending her 18-year marriage. 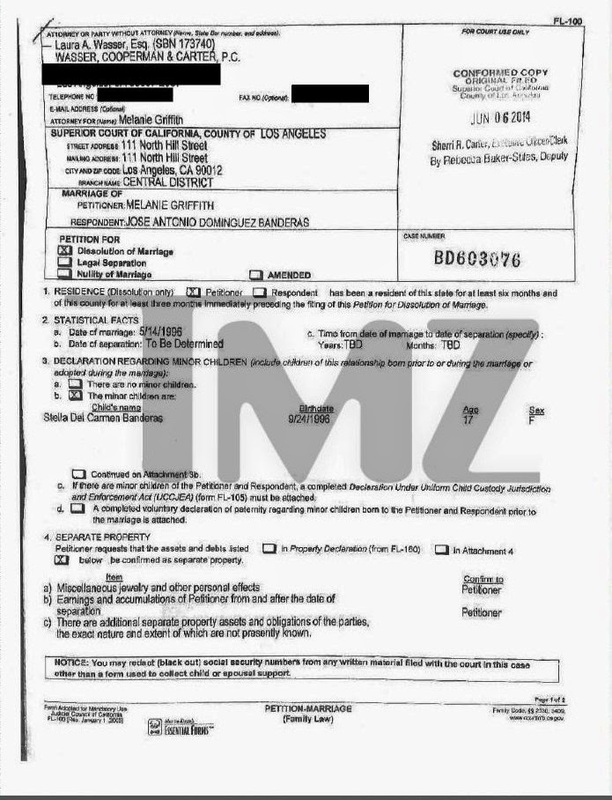 In the docs -- filed by disso-queen Laura Wasser -- Griffith is asking for child support and sole physical and joint legal custody, although it's pretty much moot -- Stella, their only child together, turns 18 in September. Griffith is also asking for spousal support. The legal docs do not list the date of separation. Sources connected with the couple says ... the divorce is amicable. As for dividing property, it's a little complicated ... they have lots of real estate, both in the U.S. and Spain. This is Griffith's 4th divorce. She was twice married to Don Johnson and also married to Steve Bauer. It's Banderas' second divorce.